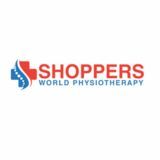 Shoppers World Physiotherapy & Wellness is your nearest physiotherapy & rehabilitation clinic in Brampton helps to recover fast from sports, motor vehicle & workplace injuries. We offer Physiotherapy, Massage Therapy, Acupuncture, Chiropractic Care, & Osteopathy Services. Along with this, We also provide custom orthotics products & braces. Custom orthotics products are specially designed to provide relief from painful foot problems or an injury. It helps to maintain the normal positioning of the foot bones, the joints of the ankle and knees. For more information, Call today at 9052303176 & speak to our sports medicine physician or healthcare provider.